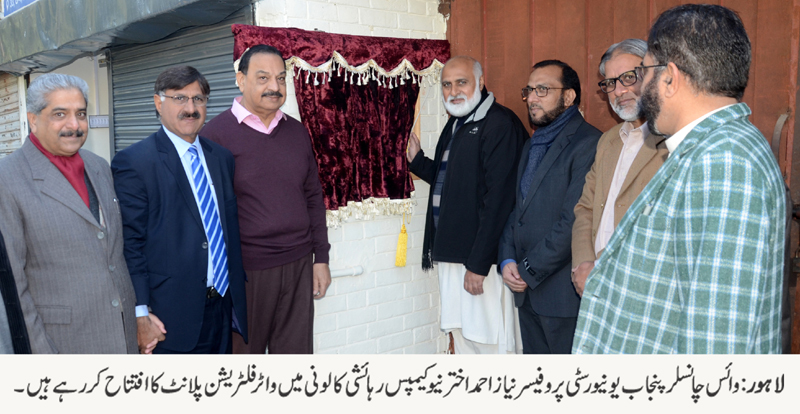 LAHORE: (Tuesday, January 29, 2019): Punjab University Vice Chancellor Prof Niaz Ahmad inaugurated newly installed water filtration plant at New Campus colony here on Tuesday. The water filtration plant has been donated by Aqua Regia (Pvt) Ltd. which has the capacity of providing 50 thousand liters filtered water daily. PU teachers, officials and students have thanked PU VC for providing clean drinking water.